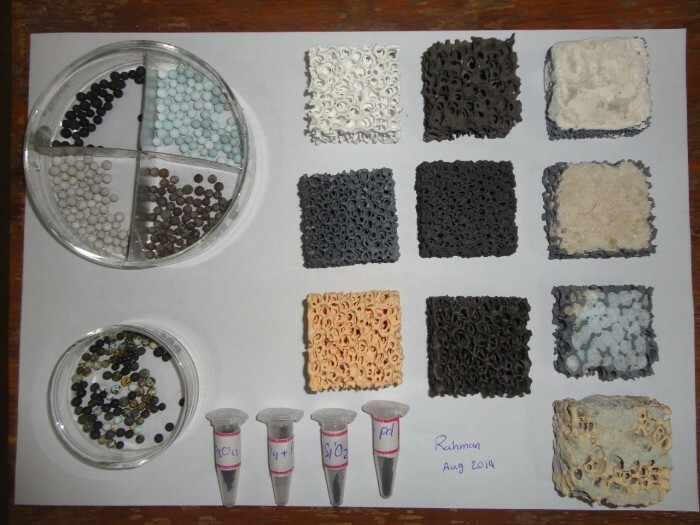 Provided is a method for synthesizing a ceramic-based catalyst including the steps of: purifying a ceramic foam by immersing the ceramic foam in hot water to form a clean substrate; activating the clean substrate by immersing the clean substrate in an etching solution to form an activated substrate; forming a first metal layer onto the activated substrate to form a metal-loaded substrate; and substituting the first metal layer with a noble metal layer by immersing the metal-loaded substrate in an acidic solution including a noble metal precursor to yield the ceramic-based noble metal catalyst. the catalyst may be applied in chemical industries as well as pharmaceutical industries and in any reaction that palladium plays a key role. The inventions is not sold ever. 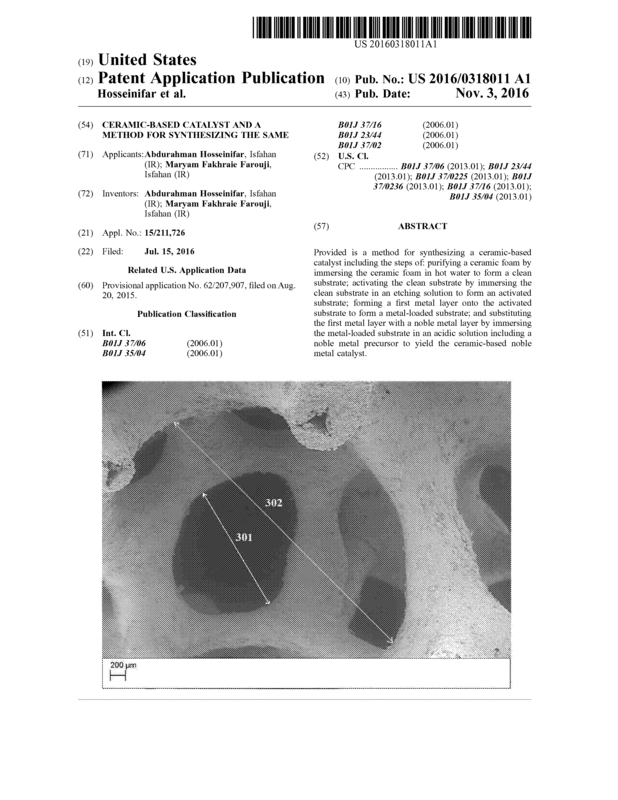 Page created at 2019-04-24 18:30:17, Patent Auction Time.